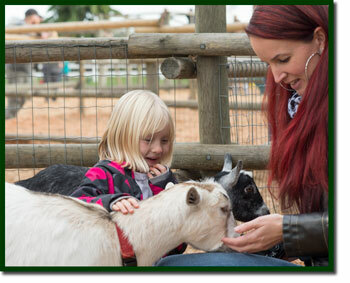 You won’t be able to resist visiting our petting farm, which is home to our donkeys, chickens, calves, pigs, goats and ducks. 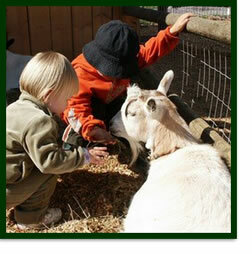 Admission to our Petting Farm/Playground is free with the purchase of a Train and/or Corn Maze Ticket. Regular admission is $3.00 plus taxes each, all October. 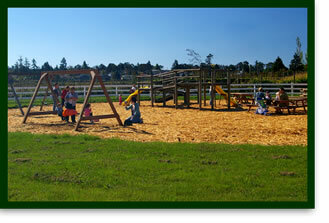 Next to the petting farm is our playground of swings and climbing equipment on a soft and safe bed of bark mulch. Picnic tables make it a perfect place for a meal or a snack, and a chance to rest while the kids play close by.